The default URL of the post is http://localhost/gallery/%gallery% which i have modified to below given URL using the code given below. 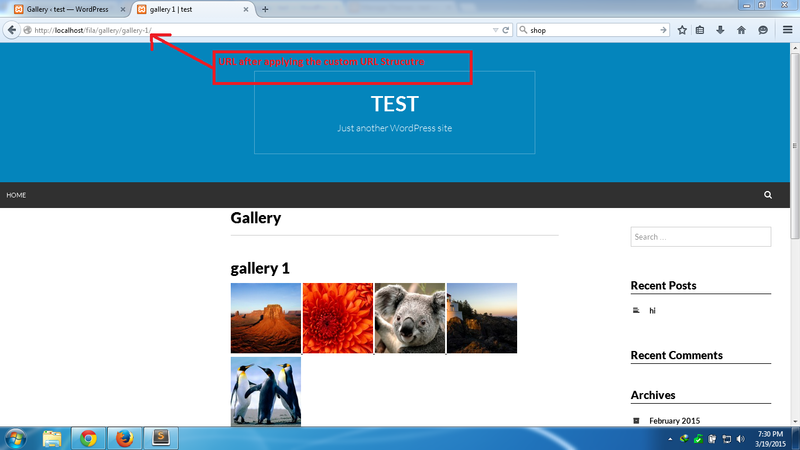 I want my permalink to be in form of http://localhost/%shop_name%/gallery/%gallery%. 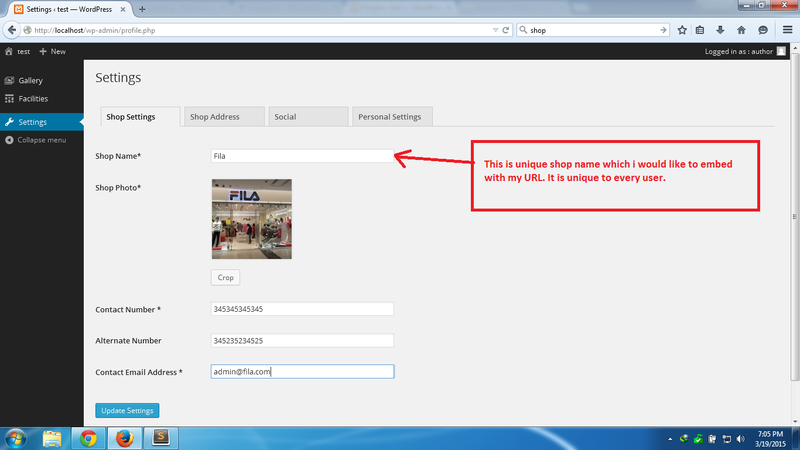 Every user has a custom user_meta = shop_name. 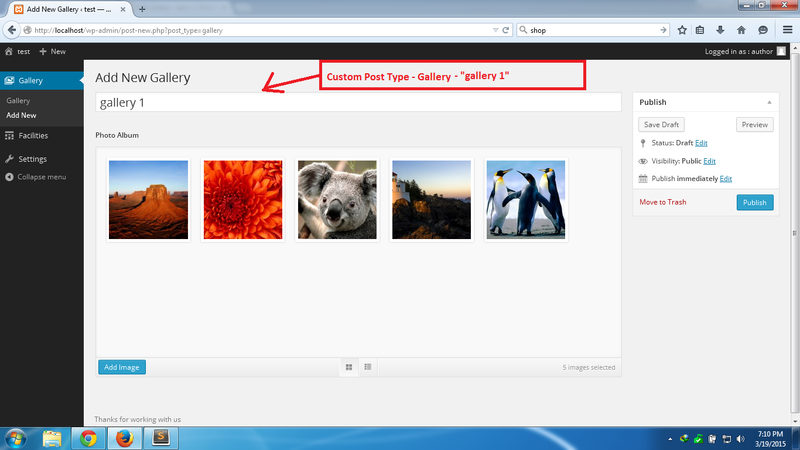 When i go to http://localhost/shop3/gallery/I want all the galleries of shop3 should be listed. Instead the index page is being shown. How can I make it possible? 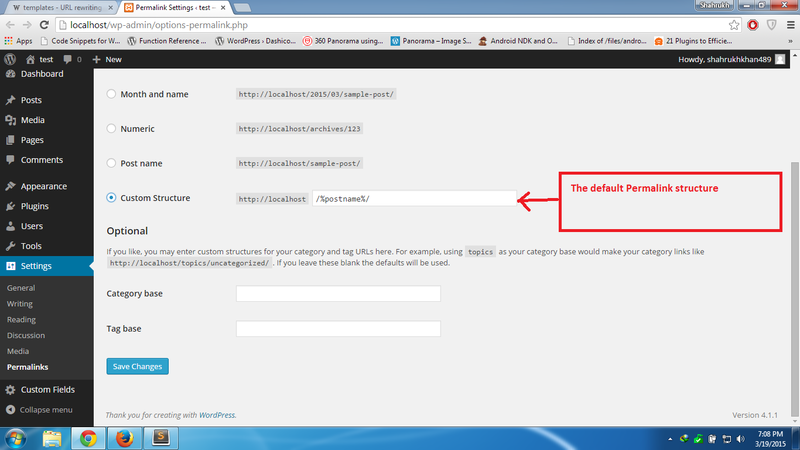 Below is the code which i have written for creating custom url but want to extend it to above mentioned problem. This is the User Meta - %shop_name% which i want to be loaded in URL when viewing posts posted by the Author have shop name - fila. I have modified the User Profile settings using ACF to develop this Custom User Settings. When I go to the URL http://localhost/fila/gallery/ i want all the galleries posted by the author with shop_name = fila to be displayed , instead the homepage is being shown. Similarly when I go to the URL http://localhost/fila/ i want the information of shop fila posted by the author to be displayed , instead the homepage is being shown. I used the following functions to solve this problem. Not the answer you're looking for? Browse other questions tagged url-rewriting templates rewrite-rules mod-rewrite template-redirect or ask your own question. 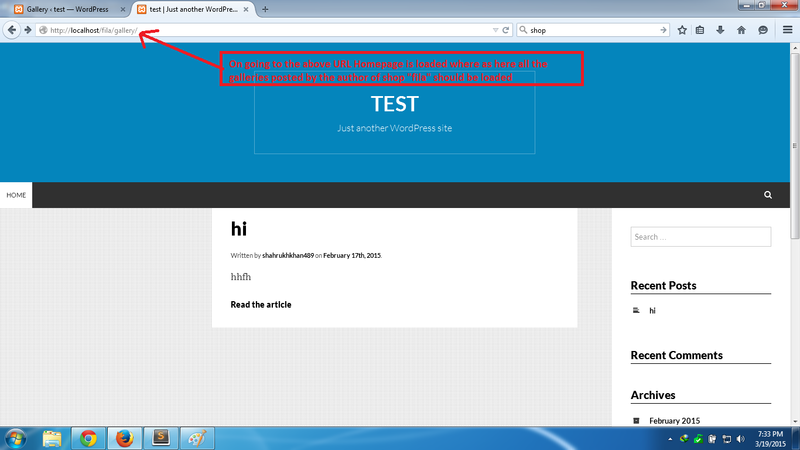 In WordPress how do you create a custom post type with the author's name in the slug? How to add 2 variable rewrite rule?